Julianne is an accomplished litigator and advisor who has a deep understanding of the challenges employers face. 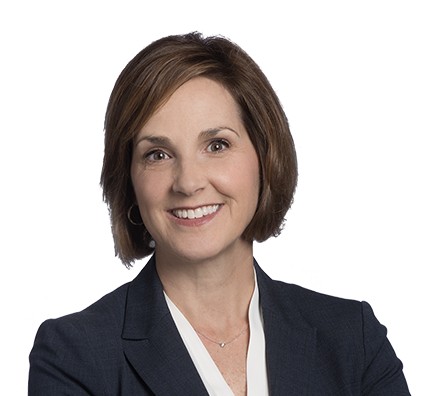 In addition to trying cases in state and federal court, Julianne provides strategic counsel to clients navigating the ever-changing landscape of labor and employment law. She believes employers can often avoid problems by being proactive. She offers guidance on laws involving harassment, discrimination and retaliation; advises on leave issues under the Americans with Disabilities Act (ADA) and the Family Medical Leave Act (FMLA); and counsels on wage and hour compliance. She knows that employment disputes distract clients from fulfilling the mission of their business – providing excellent products and services for their customers. Experienced in effective dispute resolution procedures, Julianne also represents employers in mediation and arbitrations. She drafts and litigates employment agreements and restrictive covenants and regularly conducts human resources audits and training to ensure effective HR practices. She also has significant experience in investigating all types of workplace misconduct and advises clients on strategies to minimize risk. Julianne is a member of the firm’s Executive Board. Julianne won a trial victory for an employer that was sued by a former director-level employee who alleged 20 claims under state and federal anti-discrimination laws (Title VII, Section 1981, the Equal Pay Act and the Missouri Human Rights Act) and state tort claims for defamation and invasion of privacy and publicity. The employee alleged discrimination and harassment based on gender, religion, race and national origin, as well as retaliation. Before trial, upon the employer’s motion, the court disposed of 13 claims. Following a week-long trial, the federal jury found in the employer’s favor on all seven remaining claims of gender, race and national origin discrimination and retaliation under federal law. Won summary judgment in favor of hospital in multimillion-dollar case by employed physician alleging discrimination based on race and religion and retaliation in plaintiff-friendly jurisdiction. Achieved affirmation of dismissal from Eighth Circuit of consolidated class and collective action against defendant in Fair Labor Standards Act (FLSA) case involving employment contracts and training. Obtained summary judgment on behalf of defendant financial services employer in putative class action case alleging violations of the Indiana Wage Payment Act based on timing of bonus payments. Defended medical practice and its 11 physician shareholders in $15 million lawsuit filed by former employee and shareholder after client's internal investigation established plaintiff had behaved inappropriately with two female employees. Obtained summary judgment on all but one claim. At trial, jury awarded plaintiff the lesser amount of stipulated damages and awarded judgment in client's favor on related indemnification claim, as well as client attorneys' fees and expenses. Defended major tax service company in lawsuit filed by former employee who alleged company had breached her employment agreement, terminated her in violation of public policy and denied her bonuses, commissions and overtime when it terminated her employment. Obtained summary judgment in client's favor in trial court, which was affirmed on appeal. Defended group of nursing homes and their management company in Fair Labor Standards Act (FLSA) lawsuit where plaintiffs alleged they missed meal breaks that were automatically deducted from their pay. Achieved favorable outcome for client. Defended long-term care facility in sexual harassment claim brought by kitchen employee against department manager, which included allegations of sexual misconduct by director of the facility. Achieved favorable resolution for client. Defended hospital in whistleblower and discrimination claim brought by former nurse alleging understaffing following termination of her employment for poor work performance. Achieved favorable outcome for client. Advised hospitals and other healthcare clients on variety of state and federal wage and hour issues, including lunch breaks, travel time and overtime. Are Your HR Policies in Step With the Revamped Tax Code?